KNOWING IT HAS TO OUTRUN THE FASTEST LION, OR, BE HUNTED TO DEATH…. KNOWING IT HAS TO OUTRUN THE SLOWEST DEER, OR, BE STARVED TO DEATH…. Baby giraffes never go to school. But they learn a very important lesson rather early in life. A lesson that all of us would do well to remember. The birth of a baby giraffe is quite an earth-shaking event. The baby falls from its mother’s womb, some eight feet above the ground. It shrivels up and lies still, too weak to move. The mother giraffe lovingly lowers her neck to smooch the baby giraffe. And then something unbelievable happens. She lifts her long leg and kicks the baby giraffe, sending it flying up in the air and tumbling down on the As the baby lies curled up, the mother kicks the baby again and again Until the baby giraffe, still trembling and tired, pushes its limbs and for the first time learns to stand on its feet. Happy to see the baby standing on its own feet, the mother giraffe comes over and gives it yet another kick. Never mind how hard you fall, always remember to pick yourself up and get back on your feet. Why does the mother giraffe do this? She knows that lions and leopards love giraffe meat. So unless the baby giraffe quickly learns to stand and run with the pack – it will have no chance of survival. Most of us though are not quite as lucky as baby giraffes. No one teaches us to stand up every time we fall. When we fail, when we are down, we just give up. No one kicks us out of our comfort zone to remind us that to survive and succeed, we need to learn to get back on our feet. If you study the lives of successful people though, you will see a recurring pattern. Were they always successful in all they did? No. You will find that the common streak running through their lives is their ability to stand up every time they fall. The ability of the baby giraffe! Soaring high up the food chain comes in “the Eagle”. “When there is no vision, the people perish.” (Proverbs 29, 18). Prof. Dr. Patrick Kim Cheng Low and S ik-Liong Ang, writes about the Management Lessons to learn from the eagle. the leader’s dreams can help create a better world for the people. beacon and a guiding light to the people. tear out the old feathers that by now become less airborne. As a result, it bleeds badly. and grow. It’s part of life and living. magnificence an individual can achieve with all efforts and aspiration (s)he devotes. 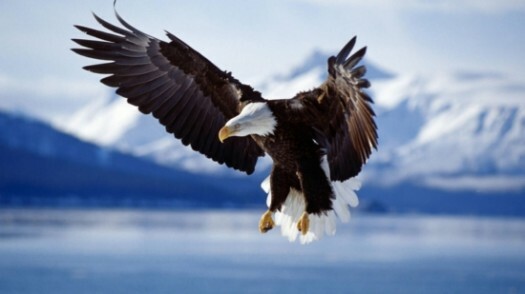 Hence, the eagle can be a good source of inspiration and encouragement. This is my first post in the new category “Management Lessons from Nature”, and I couldn’t find a better animal to be inspired from then the African Wild Dog! Many of us have heard about the African Wild Dog, haven’t we? Yes the same notorious ruckus causing hooligans who eat their prey alive. Barring their cruel mannerism of hunting, which of course has its own explanation there is plenty to learn from the world’s greatest Hunter having a success rate of 80%. The Lion with a 30% success rate termed as the King of the Jungle seems a moderate hunter against the Wild Dog. Let us try and analyse and derive some inspiration from this Hard Task Master! Wild dogs display the best example of one of the most sought after attributes, ”Team Work”! Their bushy tails with white tips serve as a flag to keep the pack in contact while hunting. Team work and intelligence enable these master hunters to bring down prey as large as Wildebeests. They often observe their prey for days before the kill, and communication plays a vital role. The dogs have a peculiar rather playful ceremony that bonds them for a common purpose and initiates each hunt. They start circulating among the other pack members, vocalizing and touching until they get excited and are ready to hunt. They start the hunt in an organized, cooperative manner. 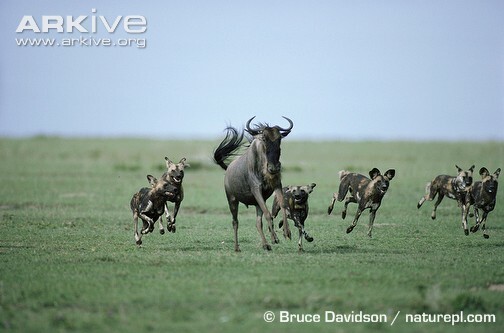 When prey is targeted, some of the dogs run close to the animal, while others follow behind, taking over when the leader is tired. Thus exhausting the preys stamina and not theirs! And we thought we were the bright ones? Essential skills like Team Work, Motivation, Communication, Planning etc which we take years to develop… some through attending vast curriculum’s are available quite “naturally”. My favorite quote on Team Work- “If everyone is moving forward together, then success takes care of itself.”~Henry Ford. It’s time we look within ourselves as it is all in there. Nature has gifted us with everything we need, and in case we forget just look around…You might just learn from the spider struggling to climb the wall! 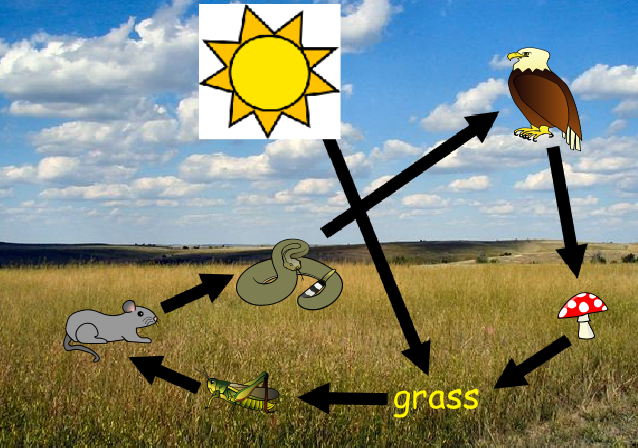 We are starting with a new category called Management Lessons from Nature. Truly, Nature is one of the best teachers and completely justifies the typical definition of Management. Talk about Planning, Organizing or even controlling. Although we consider ourselves the evolved and advanced species, there is plenty to learn by just looking around. Stay Subscribed and do pour in your thoughts as well.